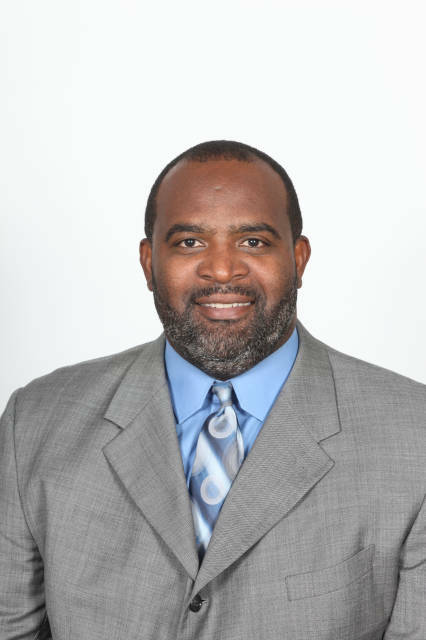 Odell Haggins enters his 26th season on Florida State’s coaching staff in 2019, serving as FSU’s associate head coach and coaching the defensive line after overseeing the defensive tackles since 1996. Haggins was promoted to associate head coach in 2014 and has helped FSU post a 240-79-1 (.752) record with 13 ACC titles and two national championships in his time on staff. In recognition of his many accomplishments at Florida State, he was inducted in the Florida State Athletics Hall of Fame class of 2018. During the 2018 season he added two more all-conference linemen to his resume as senior Demarcus Christmas and sophomore Marvin Wilson both earned All-ACC recognition. Wilson’s 42 tackles included 3.5 sacks, the second-highest total on the team, while Christmas recorded 28 tackles with 3.0 for loss and two pass breakups. The duo helped plug the inside of FSU’s defense as the Seminoles ranked second in the ACC and 20th in the NCAA holding opponents to only 3.52 yards per rush. The run defense held nine of 12 opponents under their season yards-per-carry average, kept three teams from reaching 100 yards on the ground and allowed only 16 rushing touchdowns, the fourth-lowest total in the conference. Haggins was named Florida State’s interim head coach on Dec. 1, 2017, and the next day led the Seminoles to a 42-10 victory over ULM that clinched bowl eligibility for an NCAA-record 36th straight year. He finished his time as interim head coach with a 2-0 record after leading FSU to a 42-13 win in the Independence Bowl that clinched a 41st consecutive winning season for the Seminoles. Haggins starred on Florida State’s defensive line from 1986-89. He began his career as a tight ends/offensive line coach with the Seminoles in 1994 and took over the interior defensive line duties in 1996, where he has remained a fixture for more than 20 years. Haggins has repeatedly developed future NFL pros while at Florida State. He has coached 18 defensive linemen that have been selected in the NFL Draft, including first-round selections Brodrick Bunkley in 2006, Travis Johnson in 2005, Corey Simon in 2000 and Andre Wadsworth in 1998. Wadsworth was the No. 3 overall pick and remained the highest-drafted player in FSU history until 2015 when Jameis Winston was selected No. 1 overall. Named one of the six best defensive line coaches in college football by CBS Sports in 2008, Haggins has repeatedly turned out top-flight talent. In addition to the first-round selections, he has coached second-round picks Eddie Goldman and Timmy Jernigan, Pro Bowler Darnell Dockett, as well as Larry Smith, Andre Fluellen, Jerry Johnson, Julian Pittman and Letroy Guion. Haggins has established himself as an outstanding recruiter, developer of talent and a role model to his players. He earned ACC Top Recruiter of the Year honors from ESPN in 2012. In 2014, Haggins was named one of the top 25 recruiters in the nation by Rivals.com for the fourth consecutive year. He captured the same top-25 mention from 247Sports in 2016. The 2017 version of FSU’s defensive line was a dominant force in the middle as senior Derrick Nnadi, who would be taken in the third round of the 2018 NFL Draft by the Kansas City Chiefs, and redshirt junior Demarcus Christmas teamed up to wreak havoc in opponents’ backfields. Nnadi was a third-team All-ACC selection after setting career-high marks with 53 tackles and 10.0 tackles for loss, while Christmas also posted career highs of 36 tackles and 4.5 tackles for loss. In 2016, the Seminoles ranked first in the nation in sacks per game and were fifth in the ACC in rushing defense while Nnadi garnered first-team all-conference recognition. Haggins’ defensive line anchored one of the nation’s best defenses in 2015. The Seminoles ranked ninth in the country in scoring defense and allowed only 10 rushing touchdowns, fifth-fewest in the country, while improving from 17 sacks in 2014 to 32 in 2015. Two defensive linemen captured all-conference honors as Nile Lawrence-Stample was a first-team selection and Nnadi was on the third team. In 2014, Goldman captured third-team All-America honors from the Associated Press and was a first-team All-ACC selection. The Seminoles advanced to the first-ever College Football Playoff, set an ACC and FSU record with a 29-game winning streak and captured the program’s third straight ACC championship that season. A staunch interior defense played a prominent role in helping Florida State to its third national championship in the 2013 season. Jernigan enjoyed another fine season as he earned All-America nods from several organizations including the Football Writers Association of America, Associated Press and USA TODAY. The high-powered run-stuffer in the trenches led a defensive front that surrendered just seven rushing touchdowns, the fewest in the nation. Florida State’s defensive tackles paved the way for the nation’s top scoring defense and the third-best total defense. The work of the front four was noticeable on several fronts, including allowing just 124.8 yards per game to opposing rushers. Opponents averaged just 3.3 yards per rush against the stout defensive front of the Seminoles, and FSU continued its strong pass rush, racking up 35 sacks. The 2012 season saw three Seminole defensive tackles earn All-ACC honors with senior Everett Dawkins and sophomore Jernigan capturing second-team recognition while senior Anthony McCloud picked up honorable-mention accolades. In part due to suffocating pressure up front, the Seminoles ranked second in the nation in total defense in 2012, yielding just 254.14 yards per contest. FSU allowed opposing running backs just 2.75 yards per carry, which tied for fourth in the country. Jernigan was productive in his first season under Haggins’ tutelage, becoming a Freshman All-American in 2011 with 100 tackles, including 16.5 for loss. FSU’s run defense allowed opposing backs to average just 2.35 yards per carry, which led all 120 FBS programs, and the Seminoles ranked fourth nationally in total defense. Haggins helped produce one of the best defensive lines in the nation in 2010 as the Seminoles ranked third in FBS in quarterback sacks per game and tied with Boise State for first nationally in total sacks with 48. Haggins’ 1999 defensive front included future NFL standouts Corey Simon and Jerry Johnson, who were instrumental in FSU’s 12-0 run to the national championship. The Seminoles boasted the nation’s top-ranked defense in 1998 and the No. 1 rushing defense in 1996 and 1997. The 2008 defense ranked first nationally in tackles for loss. Haggins has won at every level as a player and a coach. He was on the front end of Florida State’s dynasty years, starring at nose guard for the Seminoles. FSU posted a 39-8-1 record with Haggins on the defensive line, and he was part of four bowl-winning teams. He earned Kodak, Walter Camp and UPI All-America honors as a senior in 1989. A ninth-round pick in the 1990 NFL Draft by the San Francisco 49ers, Haggins went on to play for the Buffalo Bills during their 1991 Super Bowl season. Following a three-year NFL career, he returned to Florida State, completed his degree and joined Bobby Bowden’s staff following the Seminoles’ 1993 national championship season. Haggins and his wife, Robin, have one daughter, Amelia Grace.